Innovation is the key theme for this year’s UK Construction Week (UKCW) which returns to the NEC in Birmingham from 9 to 11 October. UKCW will champion innovating and pioneering ideas, projects and products via a new Innovation Trail which runs through each of the nine shows: Build Show, Energy 2018, Timber Expo, Building Tech Live, Surface & Materials Show, HVAC 2018, Civils Expo, Plant and Machinery Live, and Grand Designs Live. New talent in the industry will also be celebrated through the Role Models initiative which is actively supporting a new wave of leaders to engage with the next generation and to illustrate the diverse career opportunities available in the built environment. “There’s been a lot of focus on what’s not right in the construction industry in recent times. The Hackitt Review and ongoing inquiry continues to demonstrate the need for radical change in the way we design, construct and maintain buildings – change that will touch every part of the industry and its supply chain. “But if we are to learn the lessons from the past, we also need a platform to see, touch and debate the new ideas and solutions in development for the future. “At UK Construction Week we are focused on showcasing innovation from all sectors, and making it easier for any professional to update their CPD, get inspired by amazing people and projects, and walk away with practical information on new technologies, systems, products and collaborations from around the world that would otherwise take months to research. High-level discussion around important issues such as the digital future of construction, diversity, Brexit, tackling the housing crisis and new industry delivery models will take place on the main stage. There will be a heavy focus on the lessons learned in the past year such as fire safety and how the industry is moving forward. Speakers already confirmed include: Phil Wilbraham, expansion programme director at Heathrow; Bridget Rosewell OBE, commissioner at the National Infrastructure Commission; Ben Derbyshire, RIBA president; and Ruth Davidson, National Housing Federation executive director. Steph McGovern, BBC Breakfast presenter and journalist, will chair the conference programme as in previous years. Beyond the main stage, each of the nine shows will be tackling specific issues within its sector of the industry. These issues will also be addressed through an extensive free CPD programme, with topics chosen by professionals in the industry. 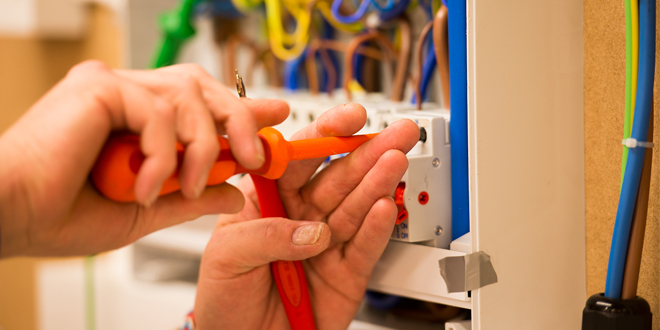 Industry organisations such as the BRE, Chartered Institute of Architectural Technologists, Association for Specialist Fire Protection, Chartered Association of Building Engineers, Concrete Centre, Passivhaus, Association for Project Safety, British Woodworking Federation, Finishes & Interiors Sector and BBA will deliver CPD sessions at UKCW. In addition to brushing up on technical and industry knowledge, there will also be sessions around practical solutions to promote diversity, equality and inclusion, safety and mental health and wellbeing. The Timber Focus Theatre supported by TRADA. There are plenty of opportunities for networking and making business deals in the dedicated Beer and Ale Festival and the Buyers’ Lounge, including evening entertainment to enjoy after a busy day. Other opportunities to celebrate include the Construction Enquirer Awards hosted by architect and presenter George Clarke, Voltimum Smart Solutions Awards and the Structural Timber Awards. Last year was UKCW’s most successful yet with over 30,000 trade visitors and this year is set to be even bigger. “If you work in the construction industry, it’s a must-attend event. It’s an opportunity to try out tools and machinery, see new products, discuss a deal with a supplier, meet with your peers and hear what’s going from leading industry experts. 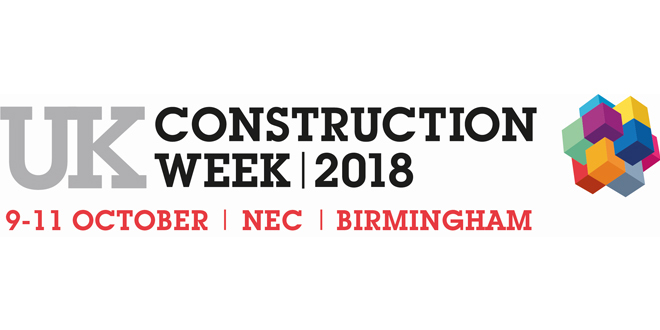 UK Construction Week is the UK’s largest gathering of construction professionals, and is hosted at the NEC in Birmingham between 9-11 October 2018. Early registration for all events is recommended.